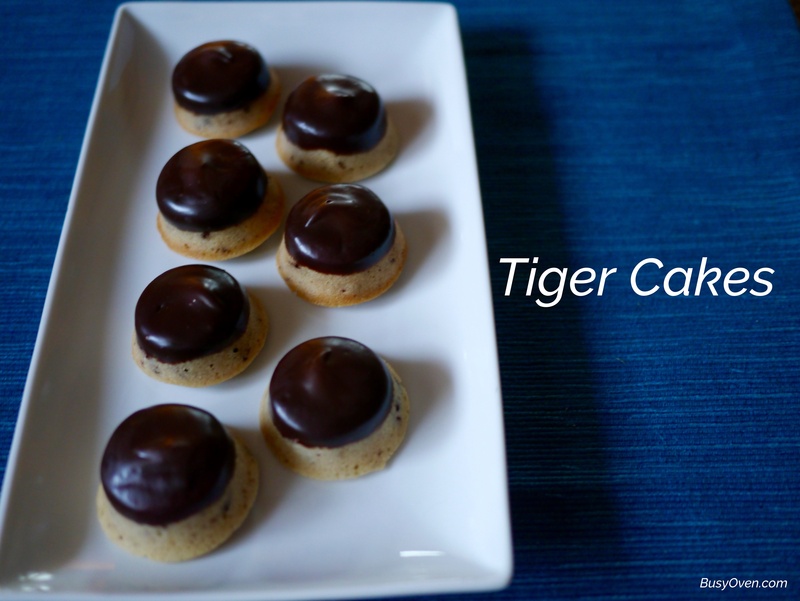 This week’s Tuesdays with Dorie assignment was Tiger Cakes, or petits gâteaux tigre. 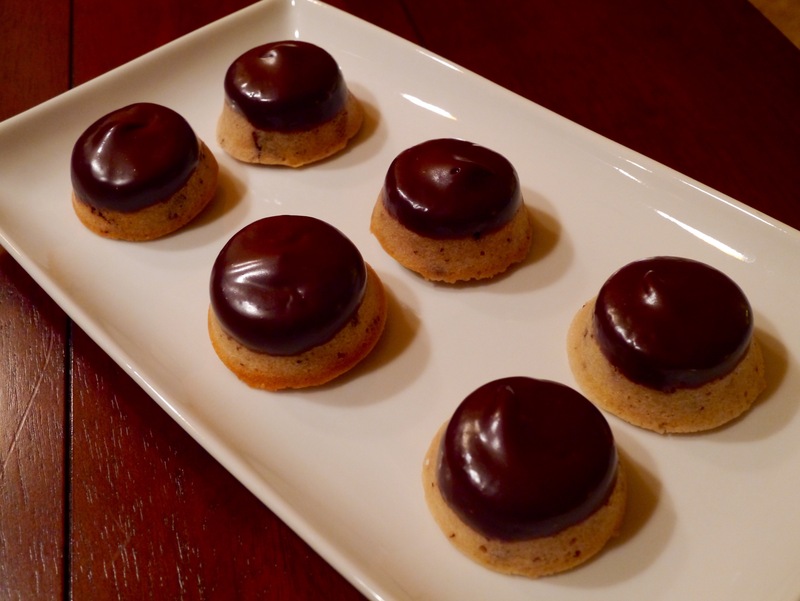 These are moist, upside-down mini cupcakes that have a nice chocolate and almond flavor, and aren’t too sweet at all! 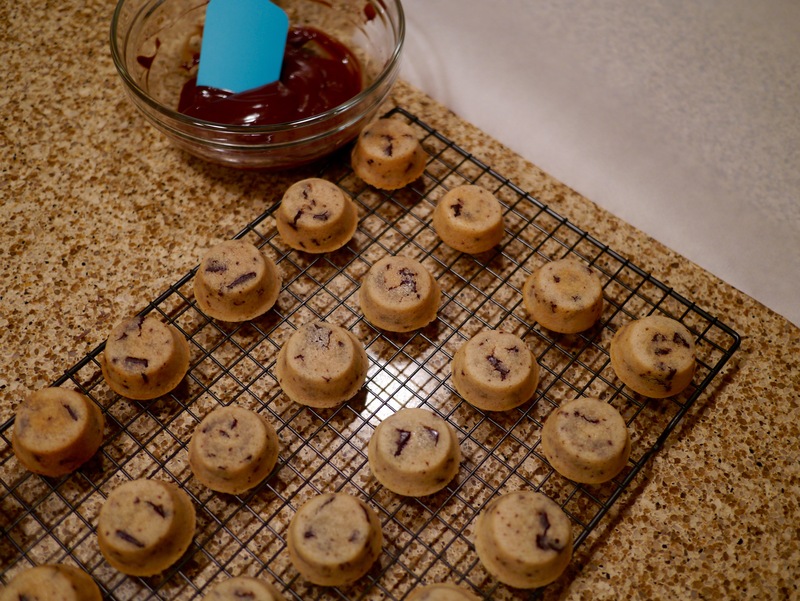 Dorie’s recipe makes 24 little cakes. To be perfectly honest, I hesitate whenever I see a cake as a Tuesdays with Dorie assignment because the last few cakes I’ve made turned out to be really dry. I had a chance to ask Dorie if that was how it was meant to be, and she said that European cakes aren’t as moist and fluffy as American ones. 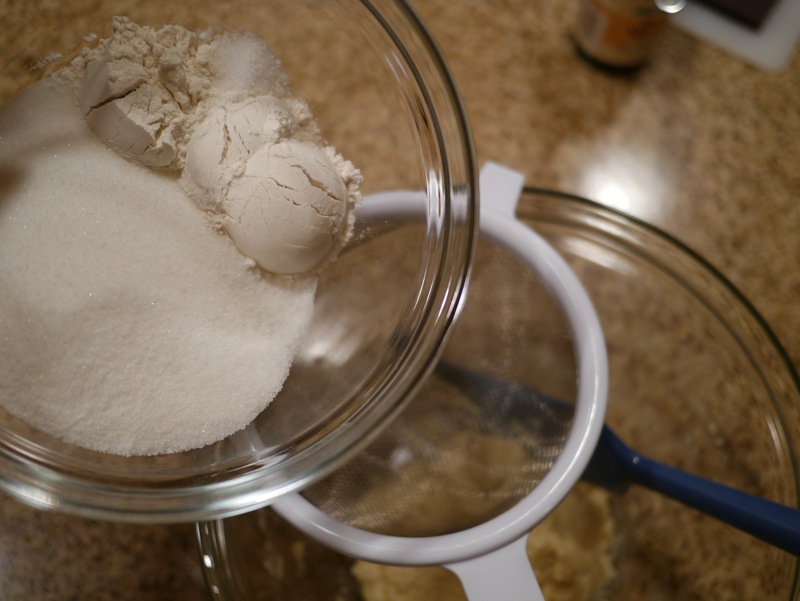 This recipe, however, looked a little different because it only uses egg whites, and most of the flour is almond flour. 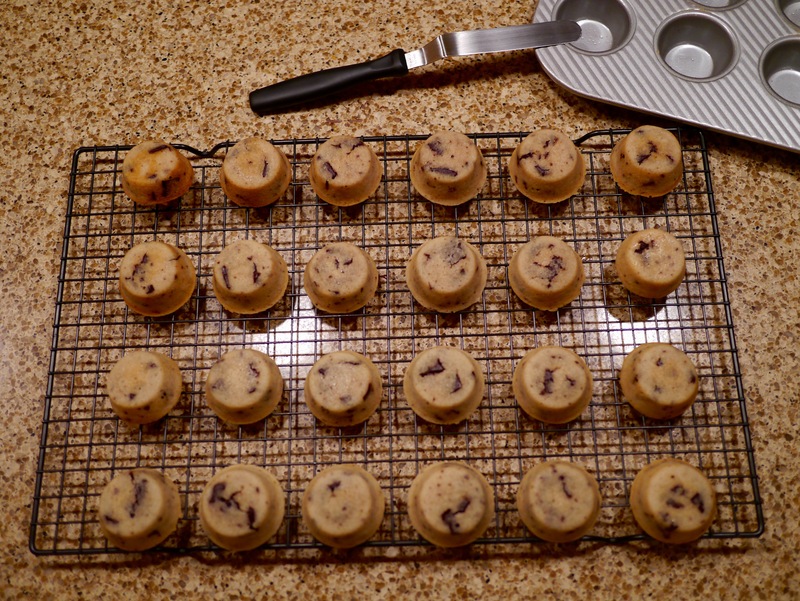 I also decided to switch things up by using a convection oven, and decreasing my baking temperature. 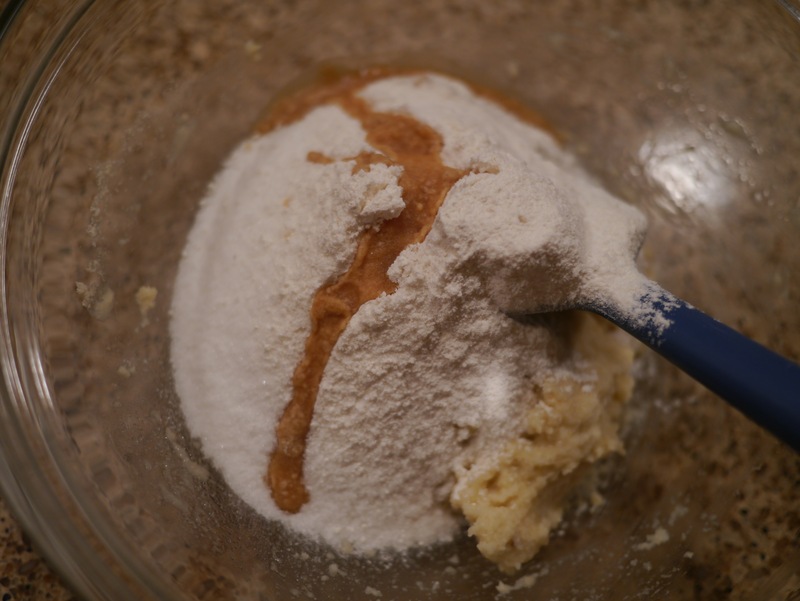 I read some tips from other Tuesday with Dorie bloggers that they had issues turning their cakes out after they baked. 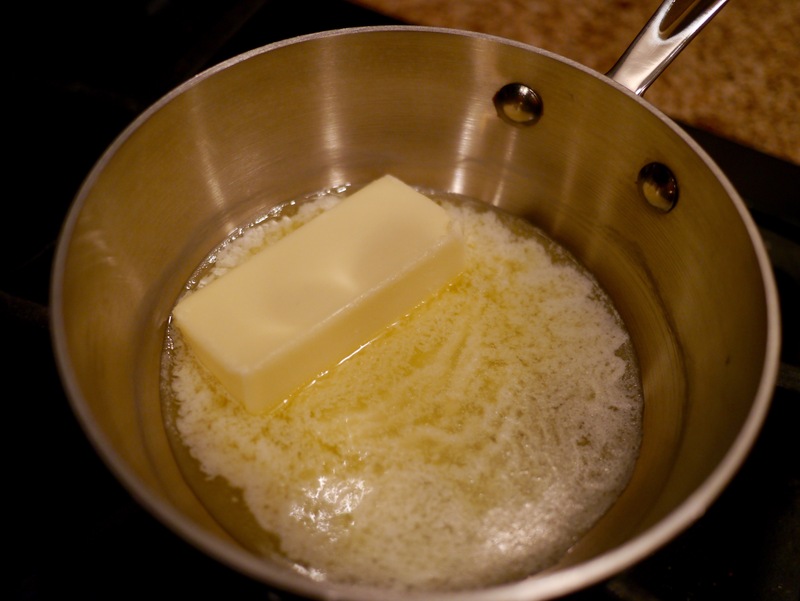 This spooked me a little so I greased my pan very generously with butter. The fun began with breaking up the egg whites. It was tempting to beat the egg whites more than I did because, well, beating egg whites are fun! Alas, I had to use restraint and move on to the next step. 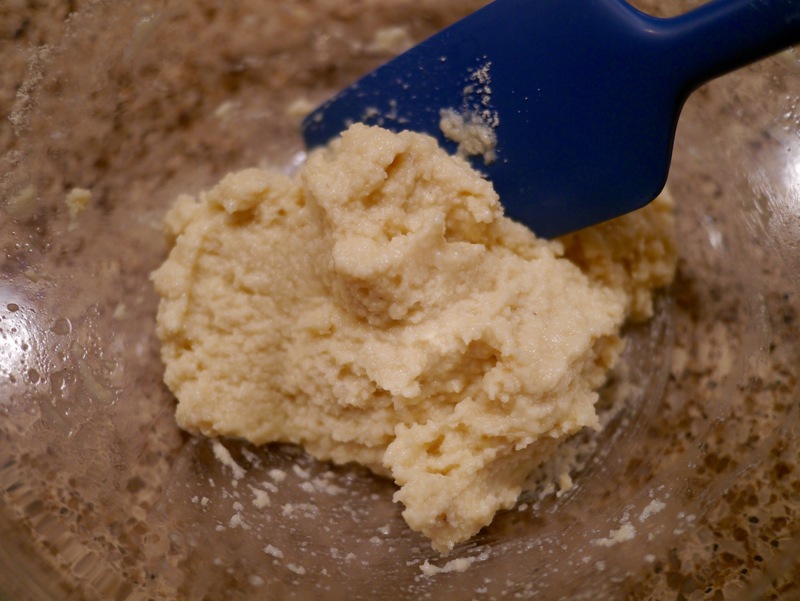 The next step was adding almond flour to the egg whites and mix until it became a paste. This reminded me of the first few steps of making macarons. This recipe was far less fussy, though! 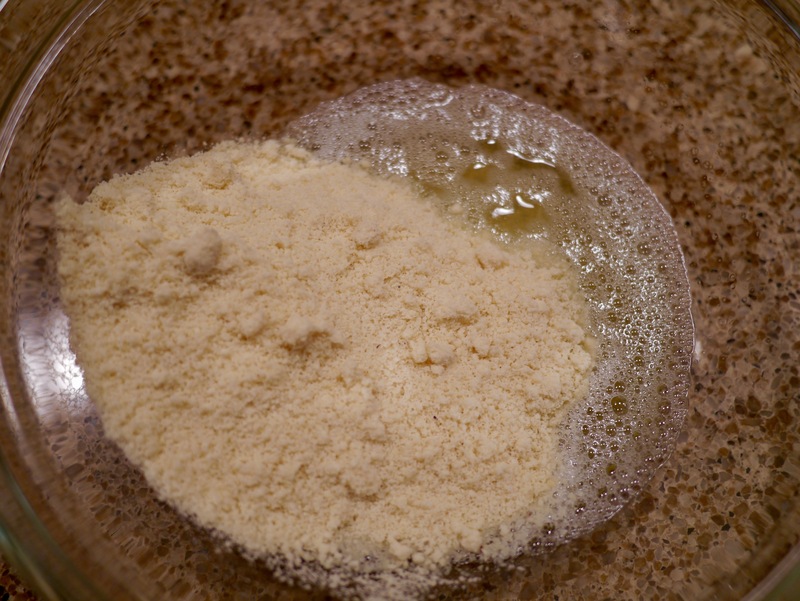 Next, the remaining dry ingredients were added to the almond flour and egg white mixture. Even though Dorie didn’t say to do this, I did it out of habit. 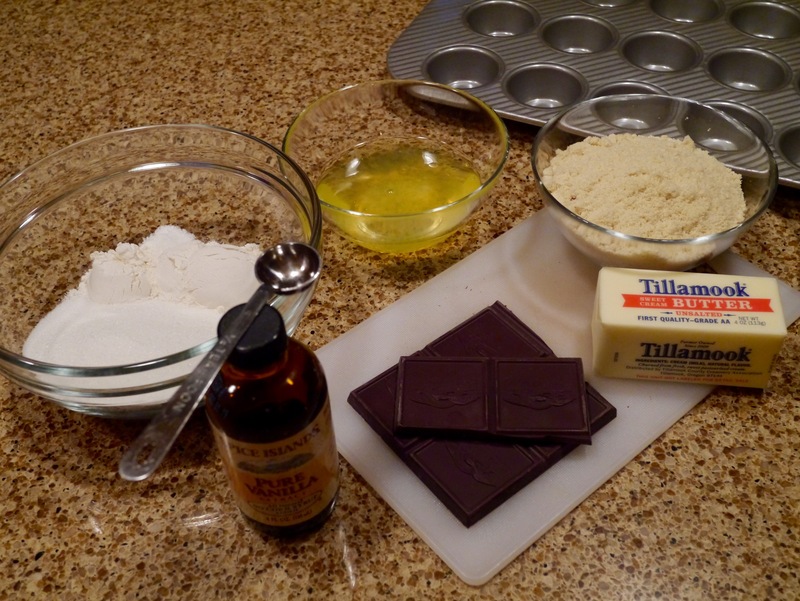 The next ingredient to add was vanilla extract. 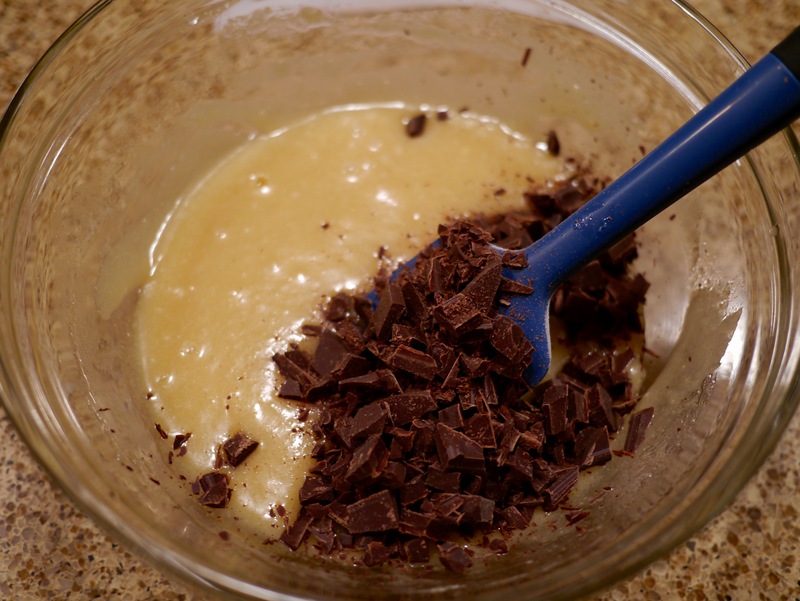 After the vanilla was added I mixed the batter and it looked very much like cookie dough. 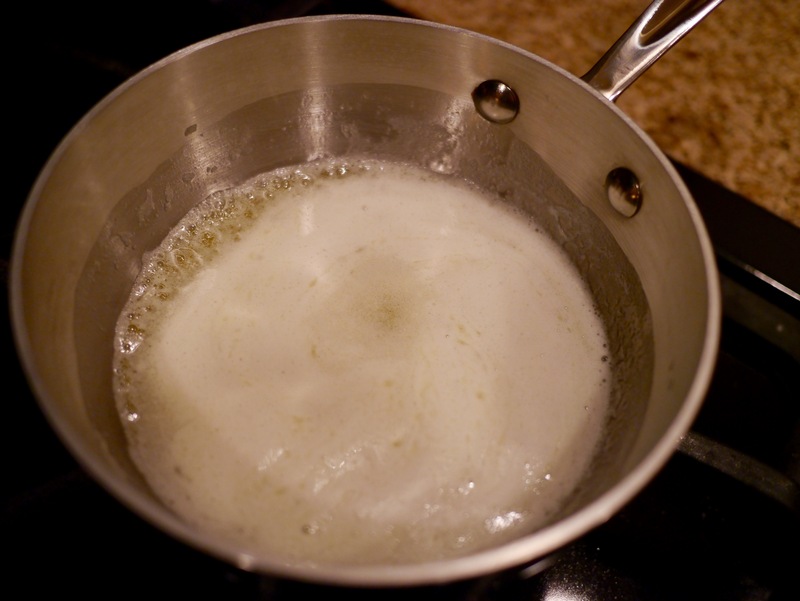 The next step was to melt a stick of butter and bring it to a boil. 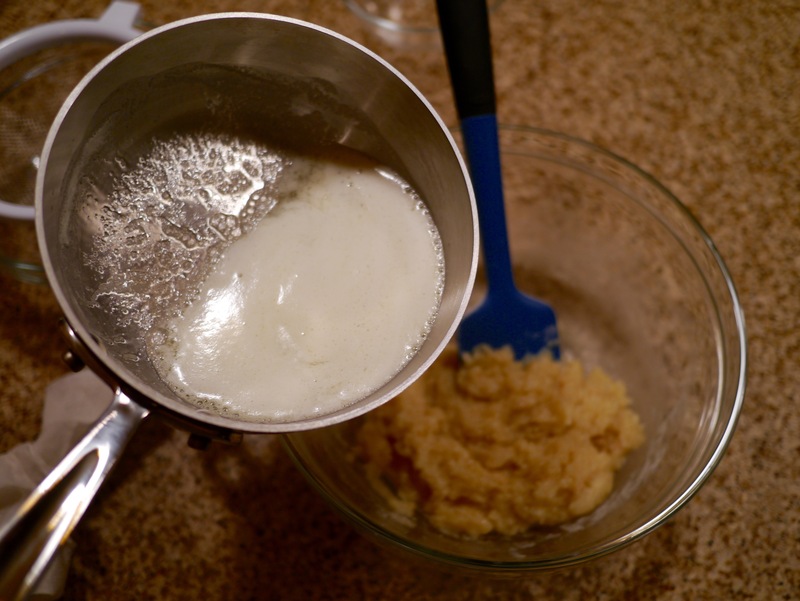 The butter was added slowly, yet vigorously mixed into the batter. At this point I thought I messed up the recipe somehow because this didn’t look anything like a cupcake batter. 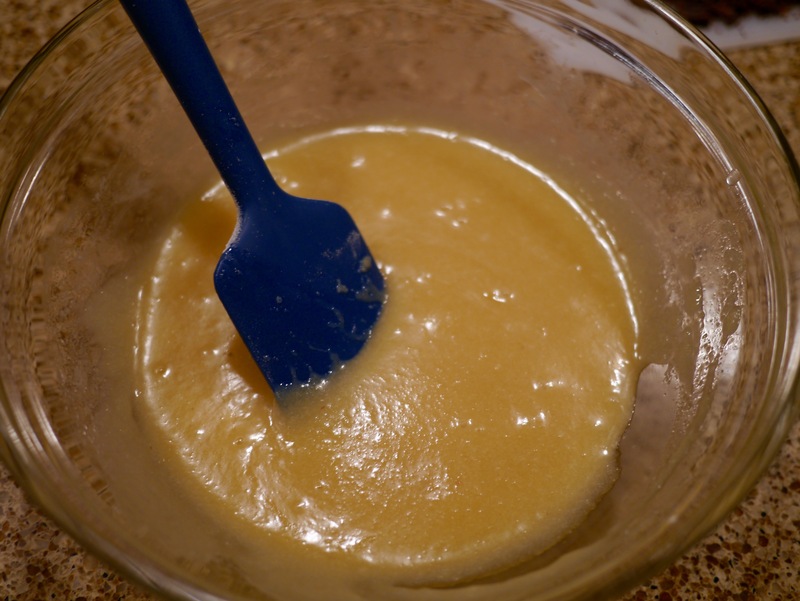 It looked more like icing, rather than batter. Even though I doubted myself, I moved forward by adding chopped chocolates. 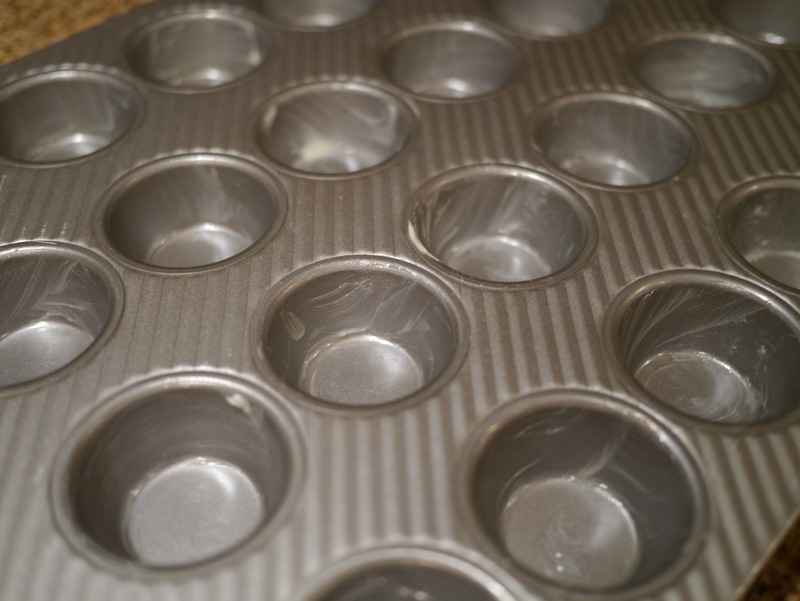 I filled the mini cupcake pan. It’s amazing how this recipe is perfect for 24 cakes. After filling the pan, I took a look and told myself that I screwed this one up because it didn’t look like any cupcakes I’d made before. I kept an eye on the cakes while they were in the oven because I had diverted from the book’s instruction by baking on convection mode. I baked the Tiger Cakes at 325 degrees F for about 16 minutes. 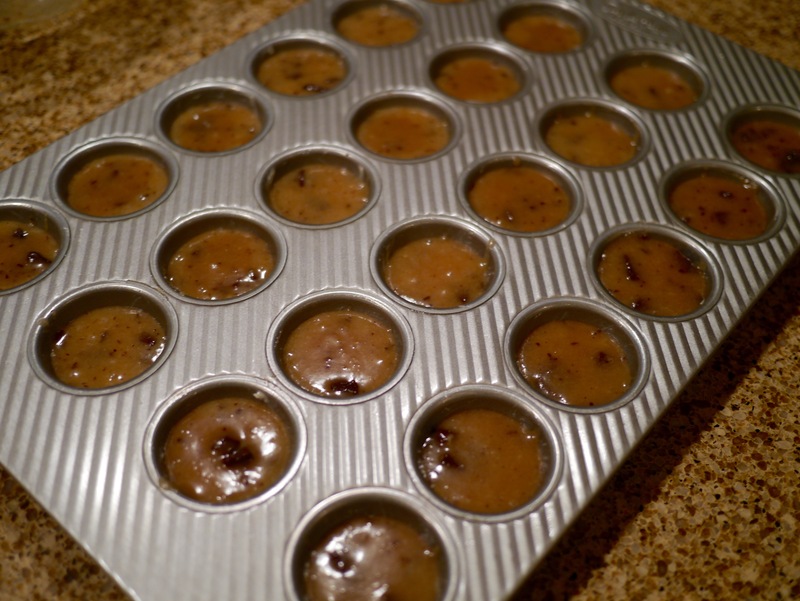 When I checked the cakes, the tops bounced back up when pressed, and a toothpick came out clean. Next was the tricky part that I read people had problems with: unmolding. 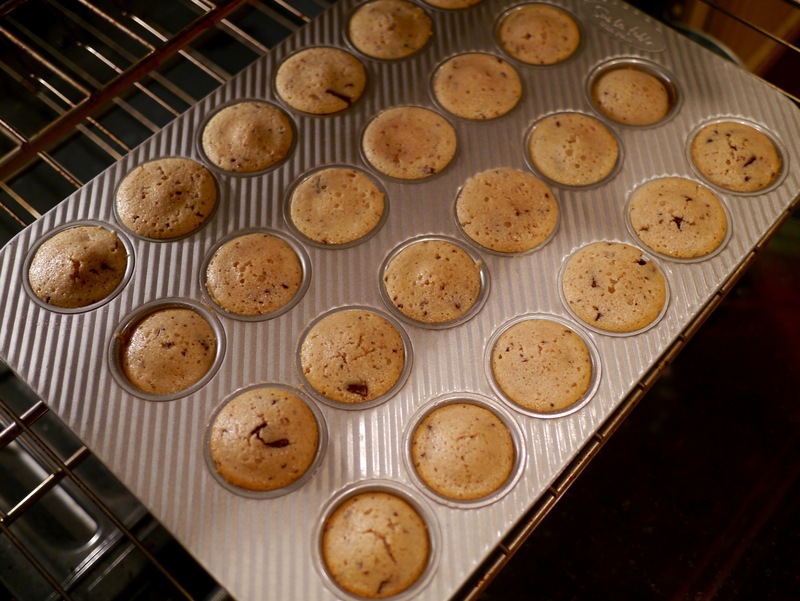 I let the cakes cool for about 2 minutes, and then placed a cooling rack on top of the cupcake pan and flipped it over, racking them onto the countertop. All but one came out without any issues. The rogue Tiger Cake just needed a little nudge; it came out perfectly, in one piece. I let the Tiger Cakes cool down for a bit while I began making the chocolate ganache topping (is it still a topping if you put it on the bottom of the cakes?). 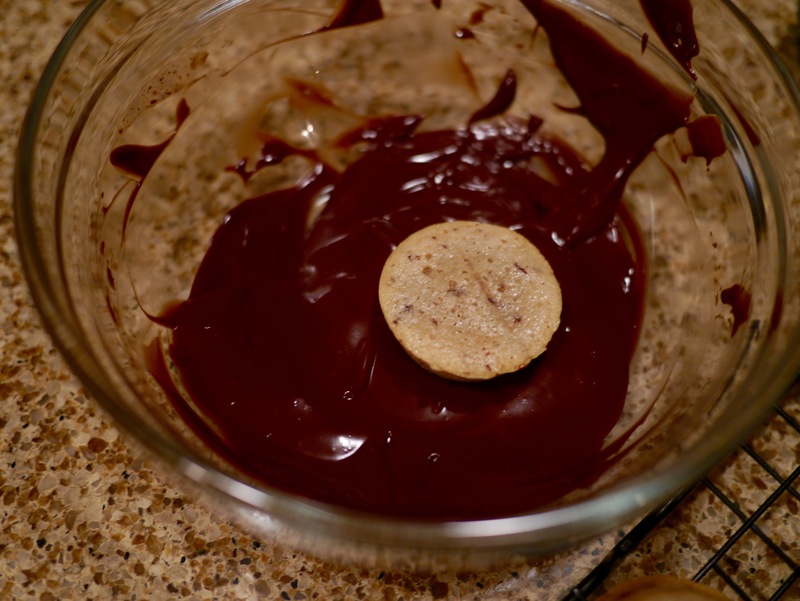 The chocolate ganache came together in under 5 minutes. It only required some cream and some chocolate. I had to wait for my cakes to cool down a little bit before dipping them into the chocolate ganache. 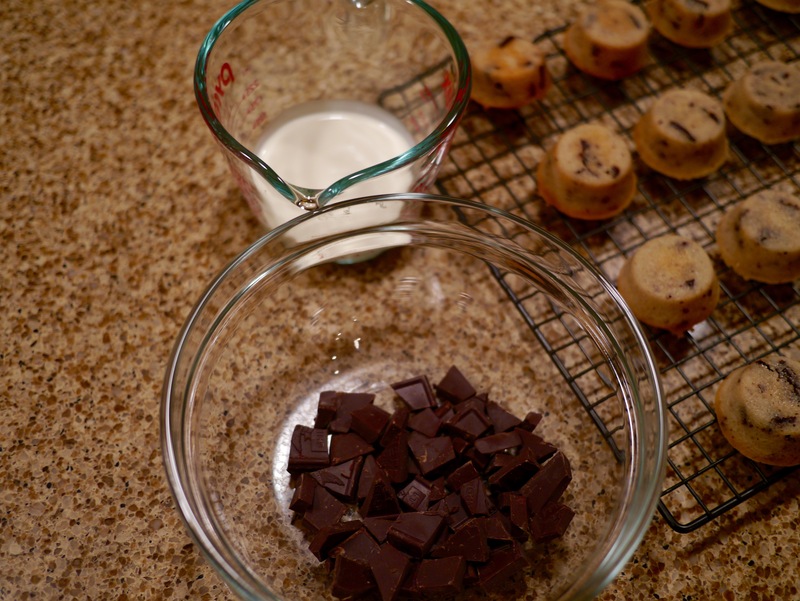 These cakes just required a little dip in the chocolate, and then dried on some parchment paper. I put them in the fridge to set for a little bit, and served then served them! This non-tiger had to check things out. I think he approved. Tiger Cakes recipe on page 197 of Baking Chez Moi by Dorie Greenspan. Your cakes look fab, just like the book. 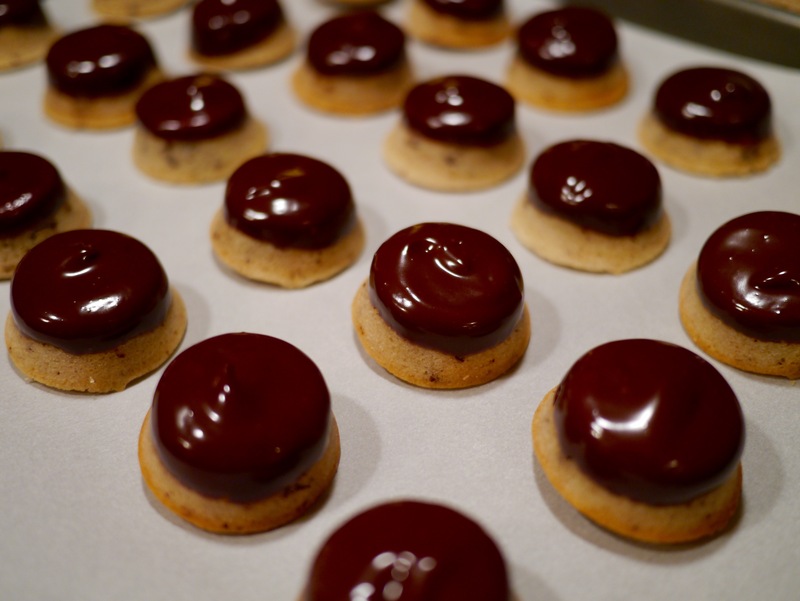 The shine on your ganache is just perfect! Your little cakes are gorgeous! I made muffin sized ones and skipped the ganache. 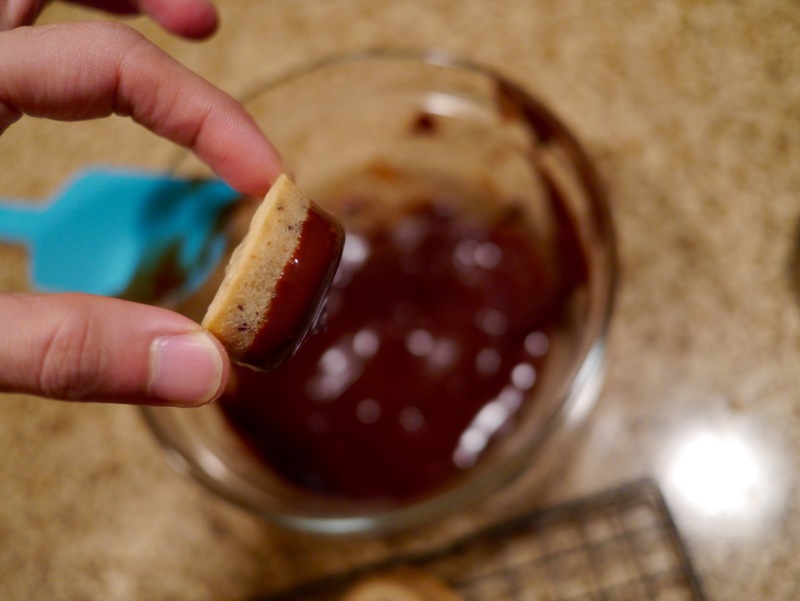 The look just perfect with the ganache. I will have to try them again. Yours turned out very well! Great job! Perfect cakes. Love your step-by-step shots. 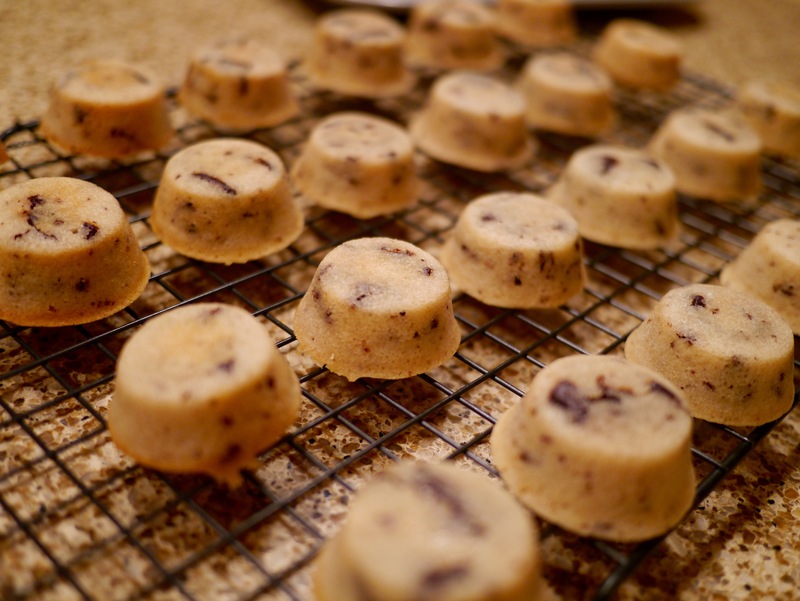 Me too find it necessary to lower the oven temperature or shorten the bake time to avoid over-baking. Yours turned out wonderfully well! I had great difficulty with the unmolding–think I need to invest in silicone. perfect little cakes-love the process photos! Your photography is always so good. I am glad the recipe turned out well for you. I live by the beach so I always have trouble with my baked goods being too wet. 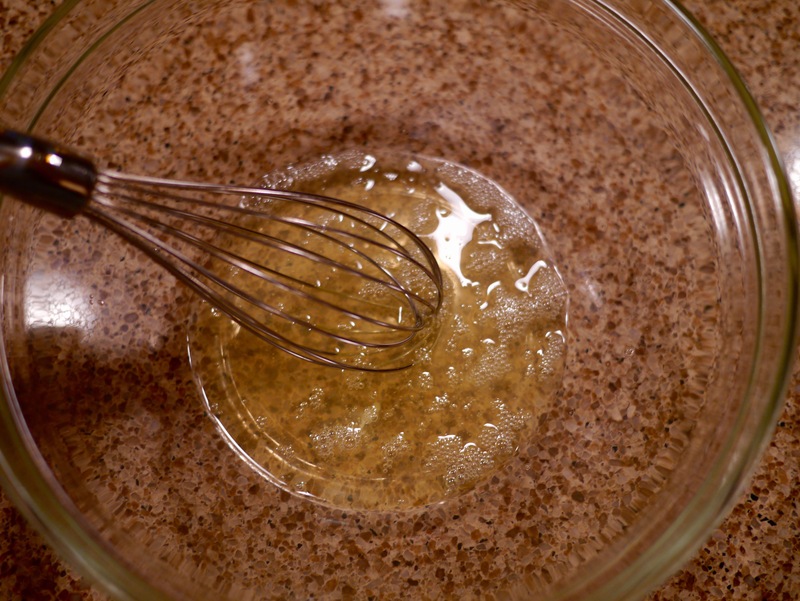 I decrease liquid in every recipe I make. Your tiger cakes look perfect too. Looks like they came out perfect. I love your process photos too, very nice. Your photos are beautiful and the cakes turned gorgeous. Yours came out picture-perfect! Mine stuck horribly. Tasted good, though! Beautiful. I love the look of that glossy ganache. Your cakes look delicious. The batter spooked me a bit too but it all worked out in the end. I love your process photos.